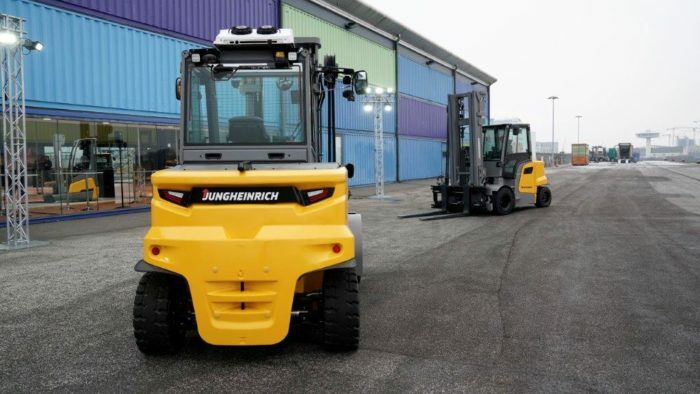 Jungheinrich will be presenting a new series of electric counterbalanced trucks at LogiMAT 2019. 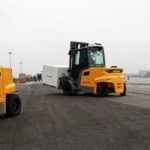 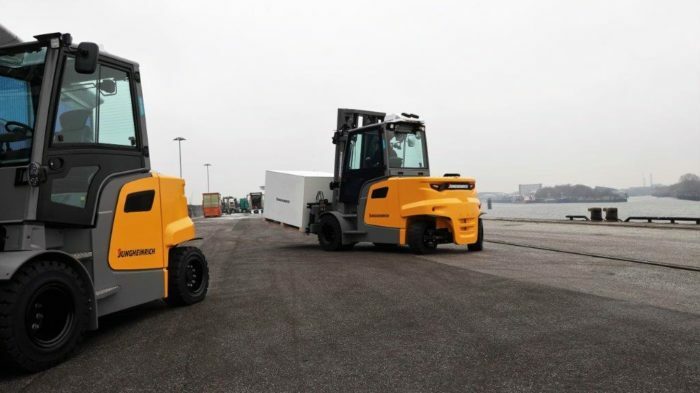 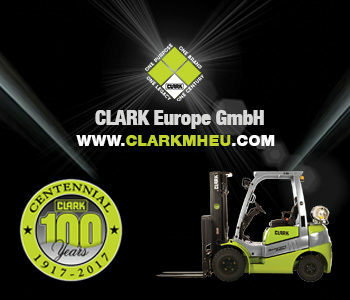 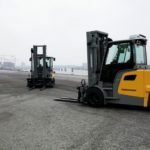 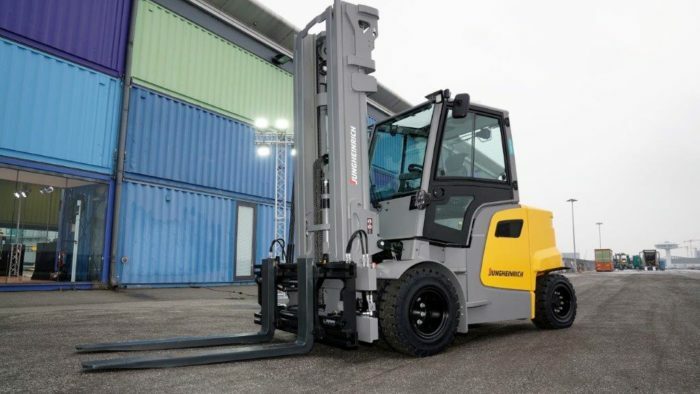 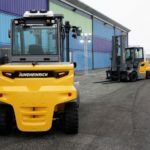 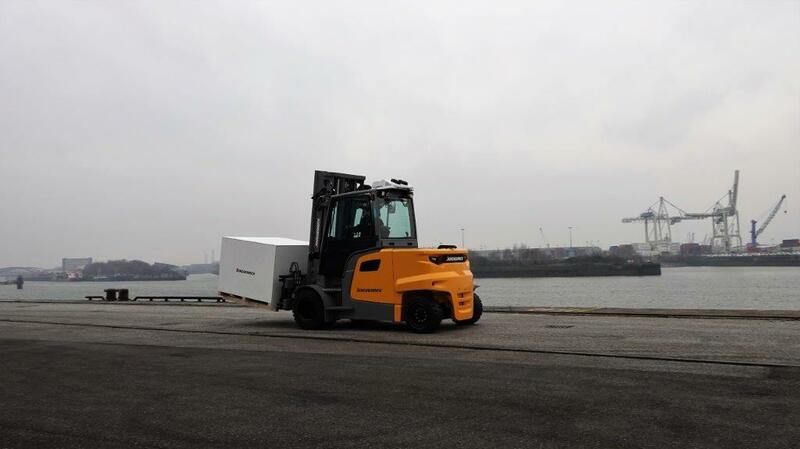 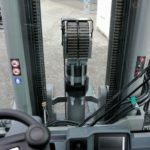 The high-performance EFG 6 Series electric forklift truck will be on the market later this year and can carry up to 9 tonnes at a load centre of 900 mm and is suitable for both indoor and outdoor use. 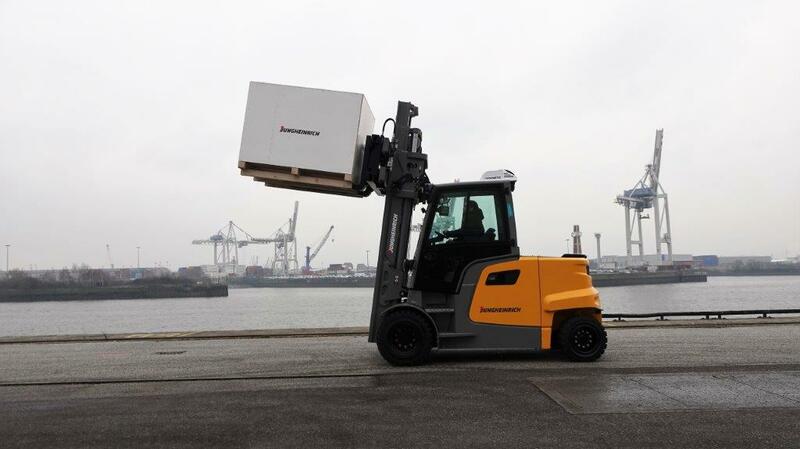 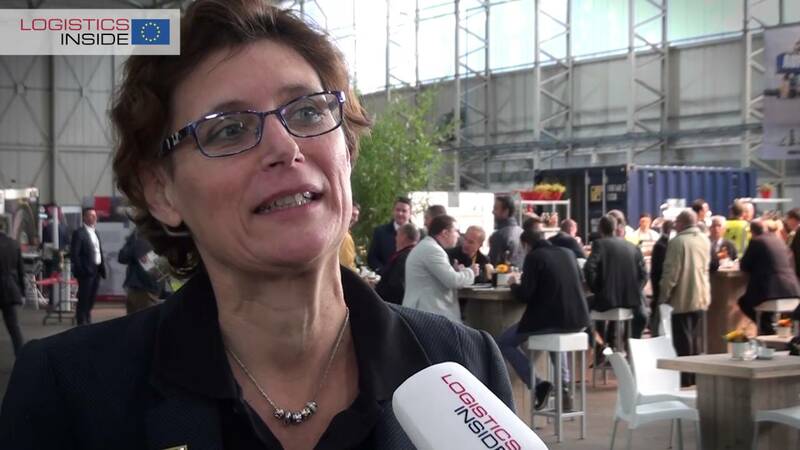 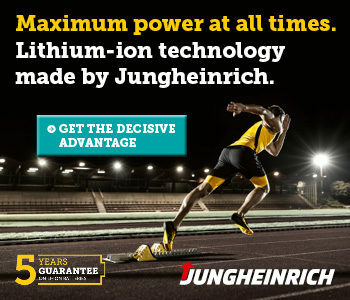 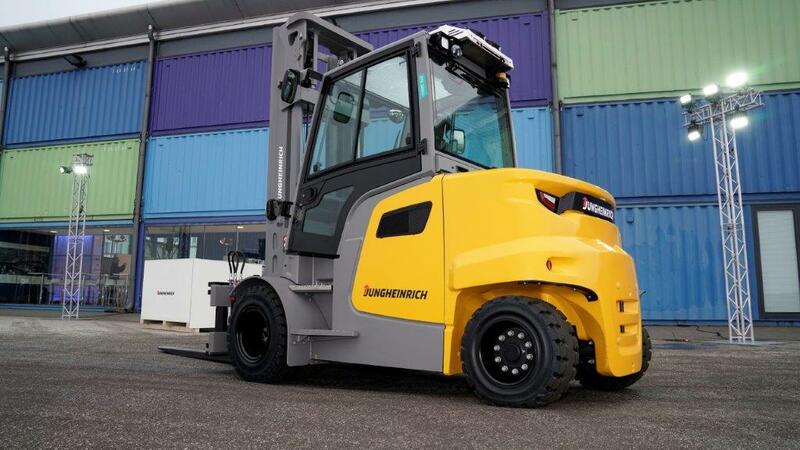 Jungheinrich already offers five EFG series. 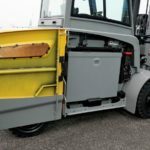 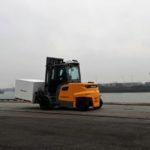 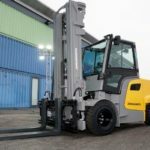 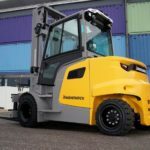 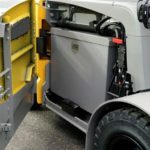 With the EFG 6 Series being launched in 2019, the manufacturer is complementing its portfolio of electric counterbalance trucks. 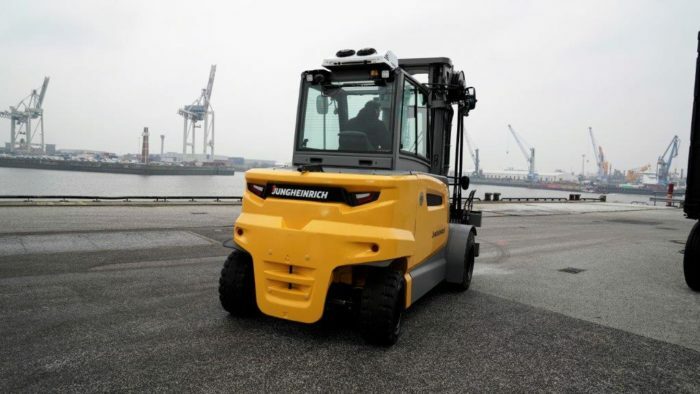 The EFG 6 Series is especially designed for powerful performance applications in beverage and building material wholesaling or in mechanical engineering. 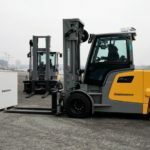 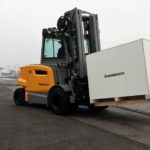 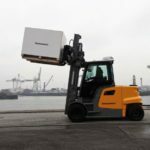 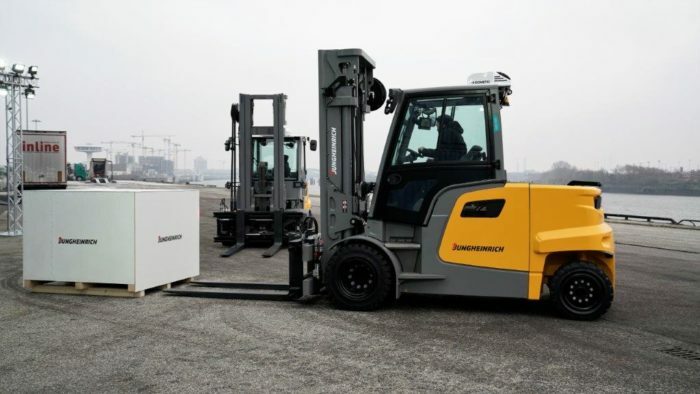 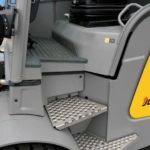 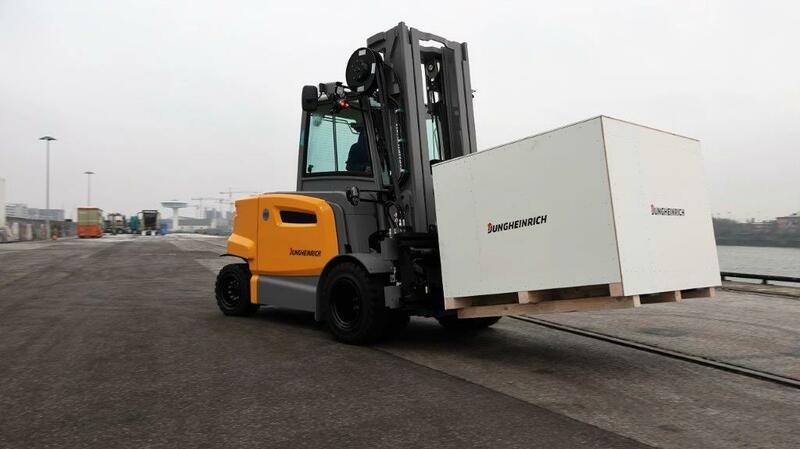 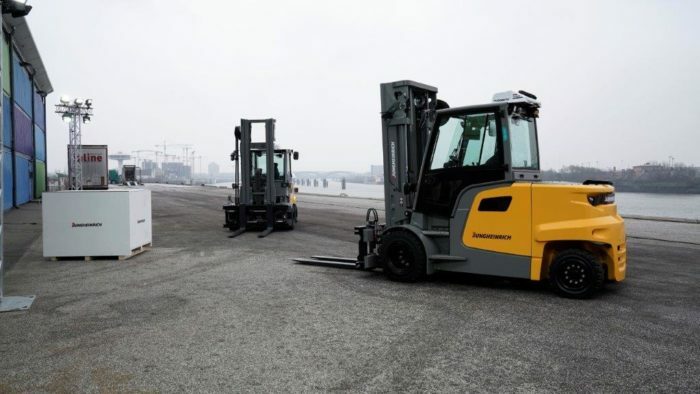 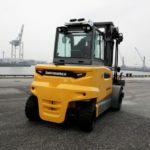 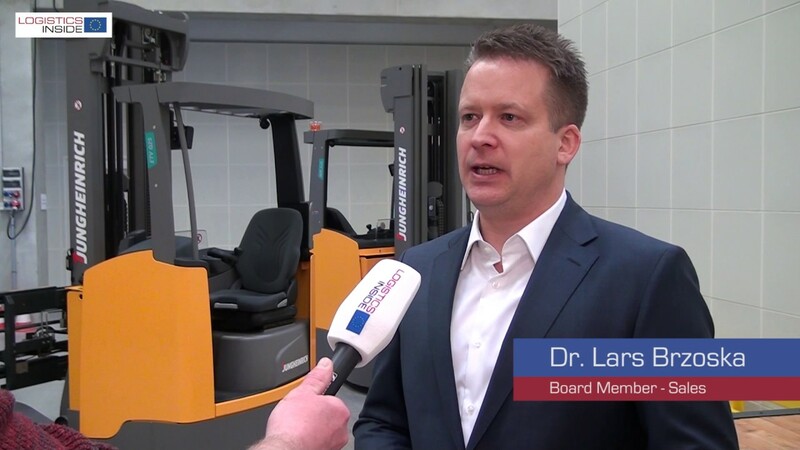 With a load capacity of up to 9 tonnes and a load centre of 900 mm, Jungheinrich will now be offering one of the most powerful electric forklift trucks in the intralogistics market. 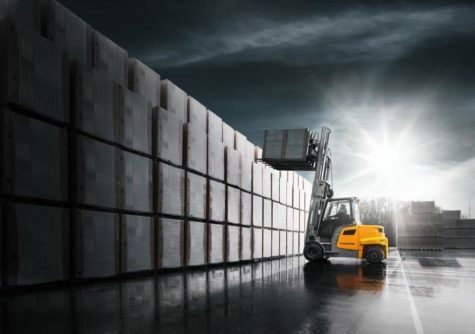 Jungheinrich offers the EFG 6 Series in a total of 14 different truck models, thereby offering the largest portfolio in the high-performance forklift segment. 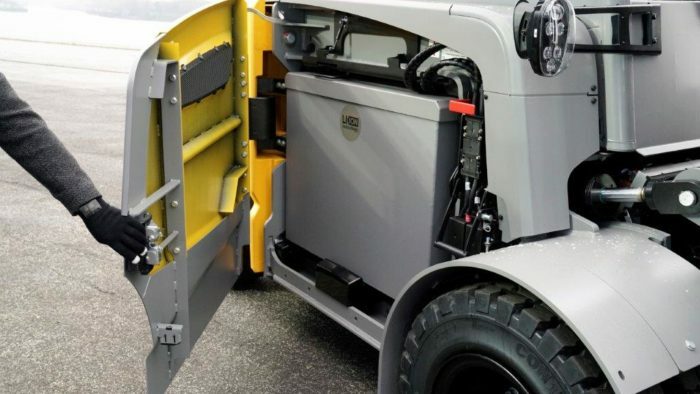 Four different capacities of 6 – 9 tonnes, two load centres (600 mm and 900 mm) and battery sizes of 1,240Ah to 1,548Ah allow the truck to be fine-tuned to adapt to any customer requirement. 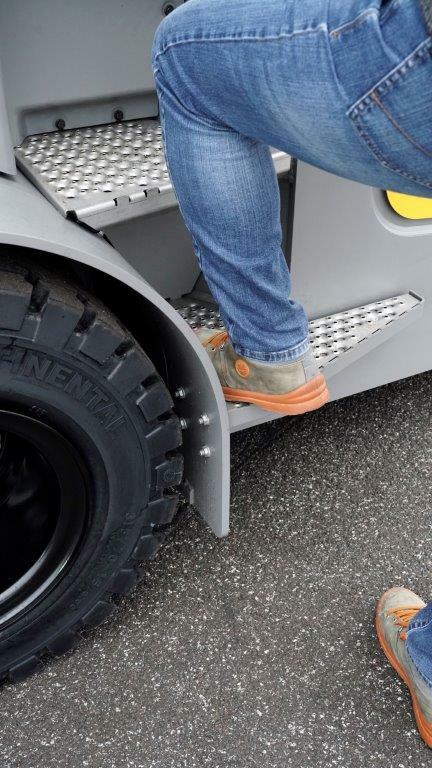 The standard version with a long wheelbase absorbs all bumps and ensures a high level of travel comfort. The compact versions are shorter and therefore more agile than any competitor trucks on the market. The EFG 6 Series is best equipped for tough outdoor use. 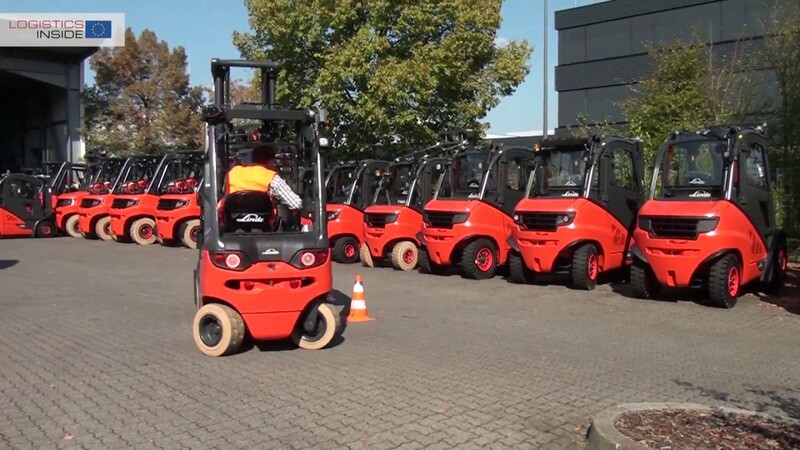 It can penetrate areas that were previously the sole domain of IC motor forklift trucks. 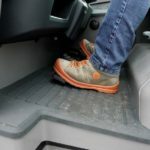 To do this, the truck has a full cabin with air conditioning. 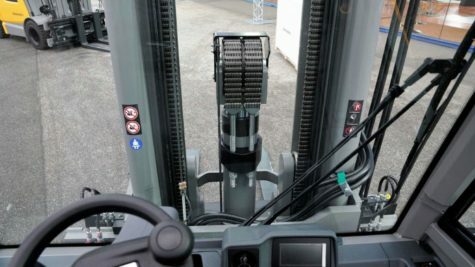 The laterally movable driver’s seat, which is unique in its kind, sets new standards in terms of ergonomics. 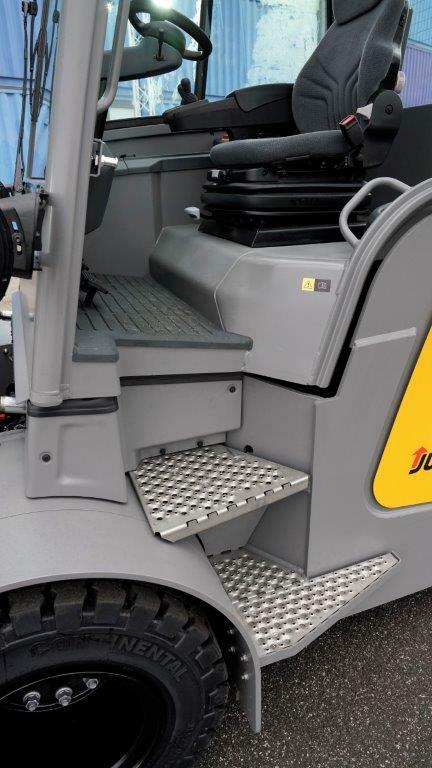 An extensive range of assistance systems such as addedVIEW and zoneCONTROL ensure optimum safety for the EFG 6 Series. 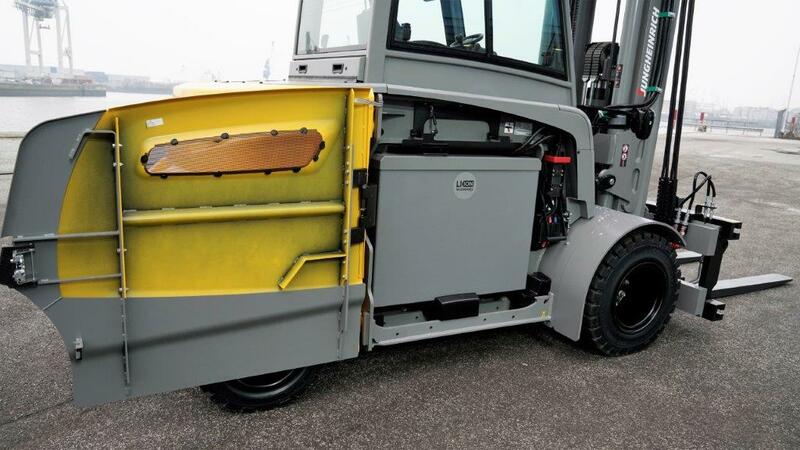 All-round visibility is guaranteed by the addedVIEW assistance system. From a total of four cameras, the operator obtains a 360-degree view directly on his display. 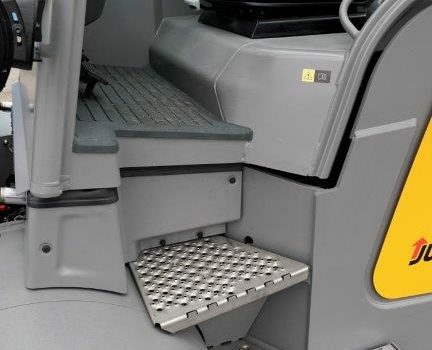 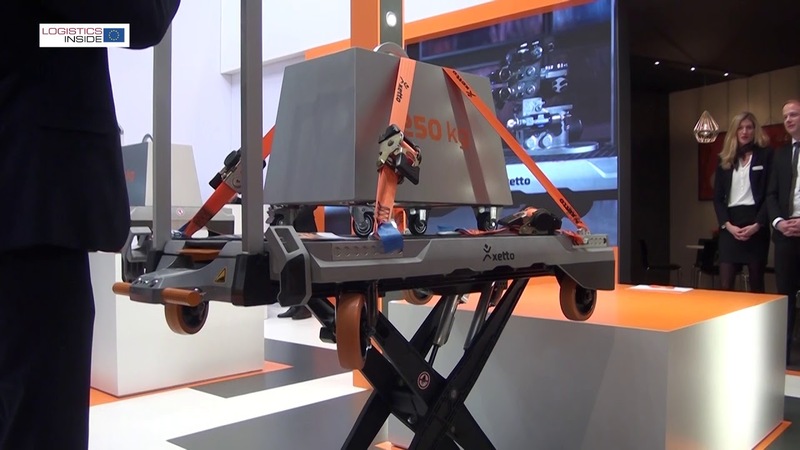 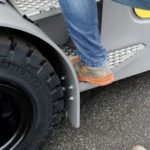 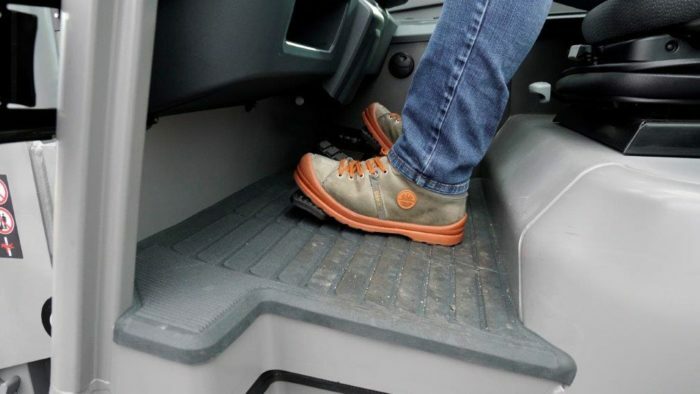 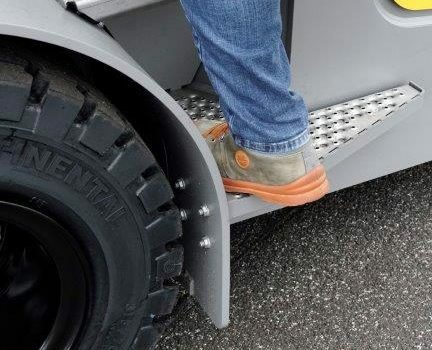 This allows for operation in confined spaces and increases safety. 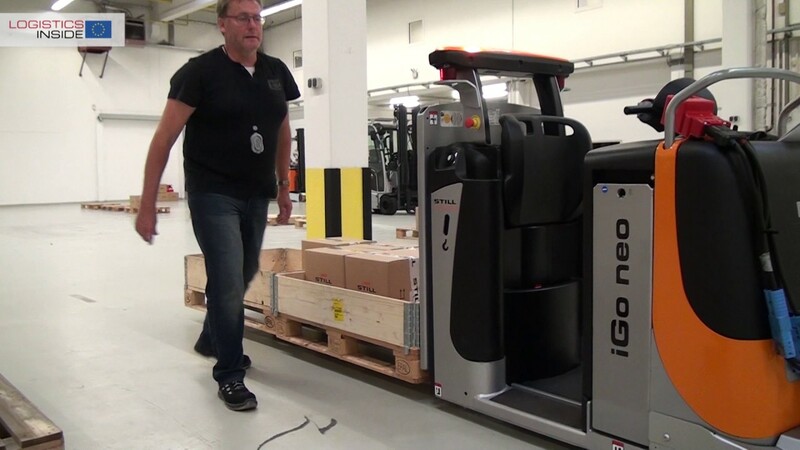 In the event of critical danger areas in the warehouse, zoneCONTROL intervenes and automatically gives the operator a warning signal.